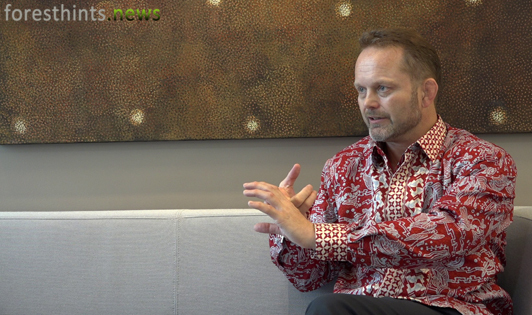 JAKARTA (foresthints.news) - Outgoing Norwegian Ambassador Stig Traavik, in his capacity as Norway’s foremost diplomat in Indonesia in 2012, has been given a unique perspective and insight into environmental and climate change matters in Indonesia. As such, foresthints.news welcomed the opportunity to interview him on his last day in office (Dec 6). When asked his impressions about the reform efforts being undertaken by Jokowi’s administration to tackle climate change issues, the ambassador was enthusiastic in his response. He also lauded the government’s courage in taking some unprecedented measures in a challenging environment. “It’s very important, very difficult and very brave and I think this administration has taken it to a new level by establishing the BRG (the peatland restoration agency), then the moratorium, and now in the next phase I know that the government will be very forceful in implementing the moratorium." Ambassador Traavik was then asked whether he was happy with the progress being made by the Environment and Forestry Ministry’s leadership in addressing environmental, forestry and climate change issues. Did he have any key concerns in response to efforts being undertaken by Jokowi’s administration to end business-as-usual practices in land-based industries? 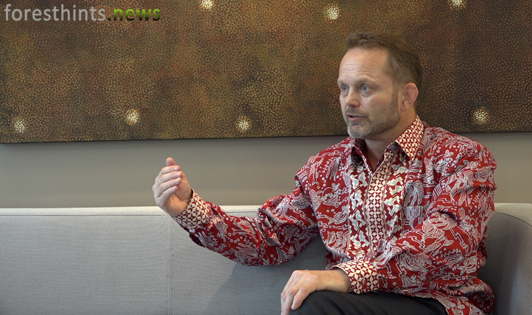 Pressed further on whether he was optimistic that current efforts being undertaken by Jokowi’s administration to address climate change issues are headed in the right direction, Ambassador Traavik sought to underline Indonesia’s unique situation in this respect. He went on to give some specific examples of how Indonesia could prosper in the future from an even greater emphasis on environmental sustainability. On a more personal note, foresthints.news asked the departing ambassador about his time in Indonesia as well as his hopes and concerns regarding the country’s future efforts in addressing climate change issues.